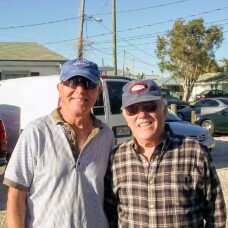 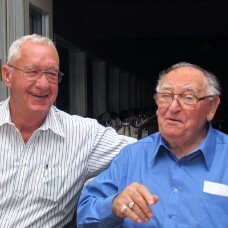 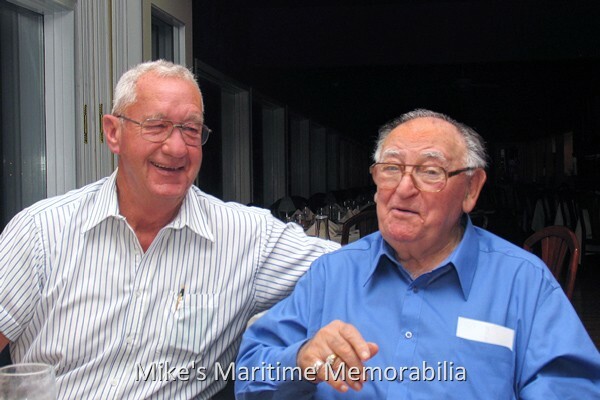 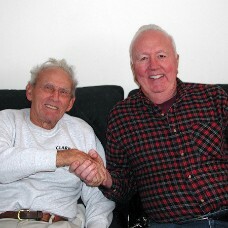 Veteran Captains Norman Mordaunt and Mike Scarpati chat after enjoying dinner with several captains, mates and friends of the New York and New Jersey party boat fleet in November 2006. 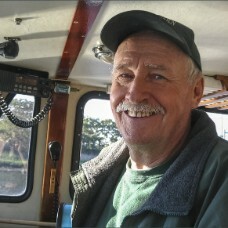 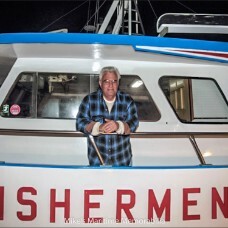 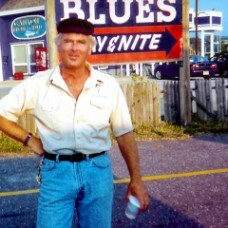 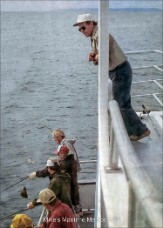 Captain Scarpati was the owner and operator of the "RANGER" party boats that sailed from Sheepshead Bay, Brooklyn, NY from the mid-1950s through the 1990s and is now retired. 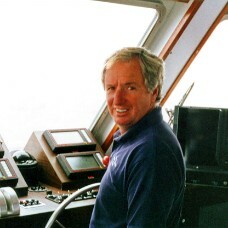 Captain Mordaunt operated the "TAMPA III", the "FURY", the "OPTIMIST" and the "AMERICAN EAGLE" among others.